Throughout my childhood, I was told various stories about my ancestors by my Lola (Tagalog for grandmother), my mom and other family members. 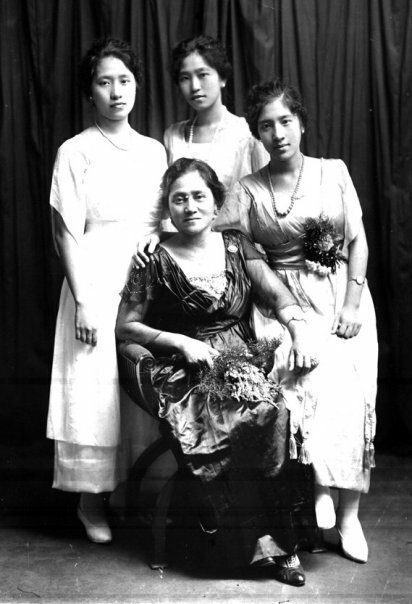 I remember bits and pieces about this legacy I had from the generations that preceded me – specifically my maternal grandmother's side. Having moved to N. America has taken me further away from this history. A recent invite to a clan group on Facebook by an uncle of mine sparked renewed interest. I was fascinated by the photos and stories from my mom and my sister (who looked into this deeper while on a trip to the Philippines last year). And to give you an idea of the size of this clan in actuality (not on FB), the reunion that is held every four years is attended by about 400-500 people. 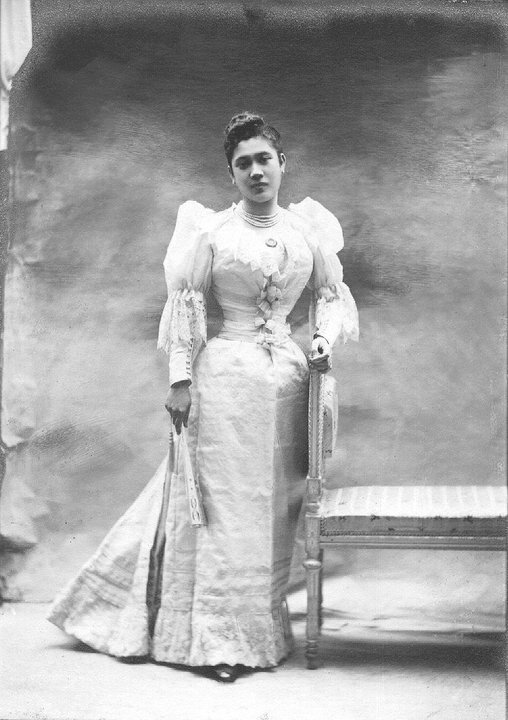 My great great grandmother, Maria 'Angoy' Limjap (pictured below in a corset) was married to a prominent business tycoon, Mariano Limjap. This makes her my grandmother's grandmother. Apparently she was a very strict, regal woman and socialite who became a well-known philantropist. 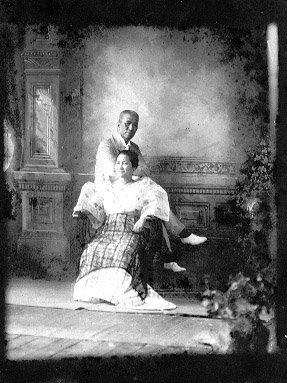 Mariano, is a descendant of a prominent Chinese immigrant who married a Spanish (mestiza) or someone of mixed heritage in Manila named Lim Cong Jap. Like some Chinese immigrants of the time, they combined Chinese names with Spanish names. Hence the new last name Limjap (pronounced Lim-hap – which is the Spanish pronounciation of the letter 'j'). 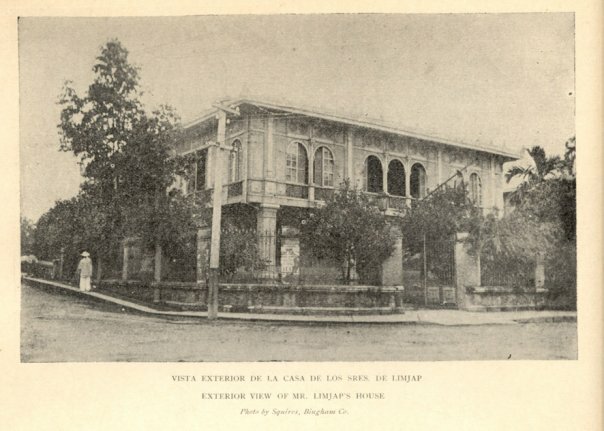 I also heard that apart from being a very successful industrialist, Mariano Limjap was apparently a patron of the Philippine Revolution that would eventually free the Philippines of 400 years of Spanish colonial rule. In 1896, he was apparently arrested and imprisoned for his revolutionary efforts. He was eventually released when Spain surrendered to the Americans. There's a photo below of the couple's busts (in marble?) at the Metropolitan Museum of Manila. 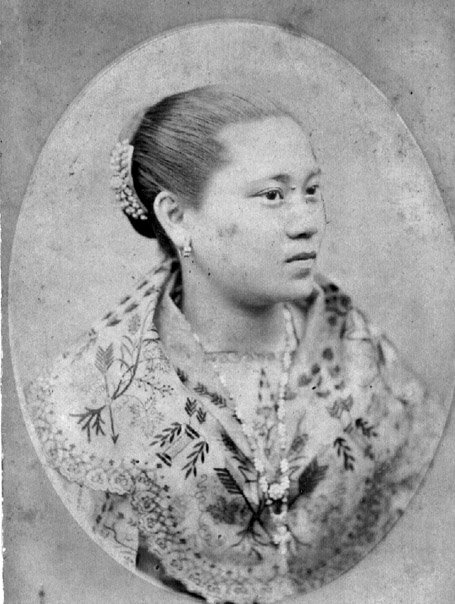 My great grandmother Leonarda 'Nena' Limjap at one point also turned down a beauty queen crown in favor of traveling abroad. 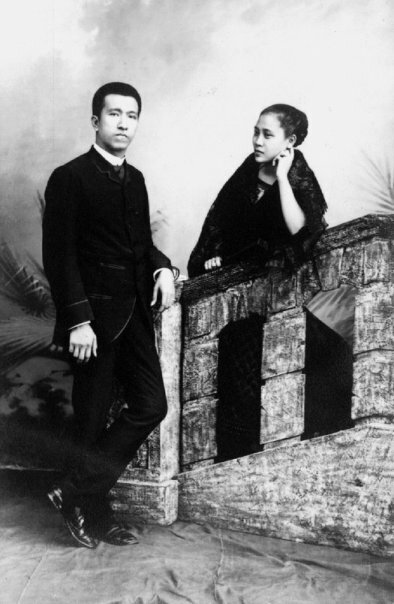 She would eventually marry Dr. Ariston Ubaldo who was the nephew of Dr. Jose Rizal (son of Jose Rizal's sister, Olympia), the renowned national hero of the Philippines (also played a major role during the Philippine Revolution). Meaning my great grandfather was a descendant of the country's most honored hero and was inspired by him to also pursue EENT (eye, ear, nose and throat) medicine. AMAZING. Needless to say, learning (and being reminded of) all this was quite incredible. The research continues. I love finding out about my amazing family history. More than accomplished industrialists, they were also philanthropists and revolutionaries! It's completely awe-inspiring and humbling. My captions below provide more information. 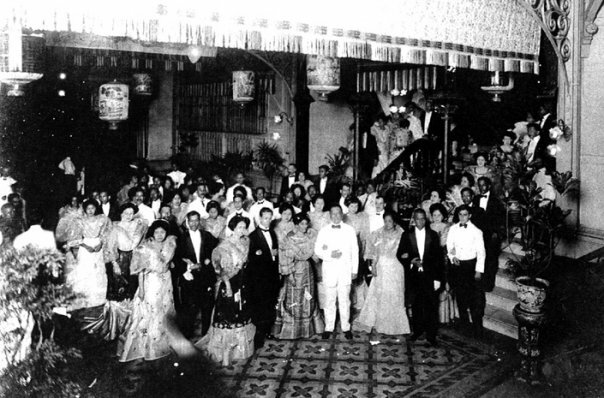 One of many lavish parties thrown by my great great grandparents. Apparently, the grandchildren (like my grandmother) would be sequestered upstairs under the supervision of nannies during these soirees. 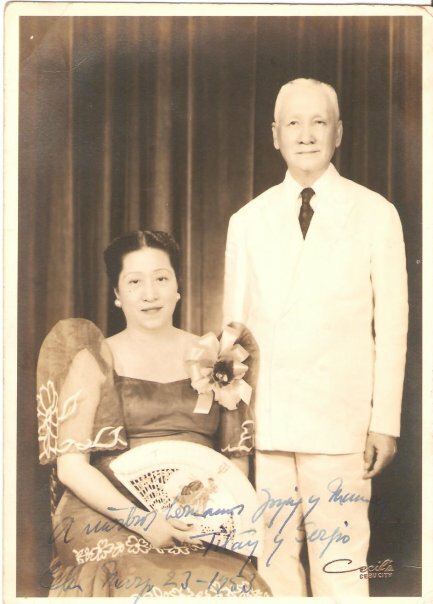 This is a photo of my great great aunt Esperanza Limjap and her husband, Sergio Osmeña who was the second President of the Philippine Commonwealth in 1944 and was one of the founding members of the Nacionalista Party. Pretty amazing!